Keith Ellison is an American politician and lawyer, who is currently the Attorney General-elect of Minnesota. Ellison was born on August 4, 1963 in Detroit, Michigan. He is the third of five sons born to Leonard and Clida (Martinez). Since childhood Ellison was involved with the civil rightsmovement and briefly worked with his grandfather in Louisiana for the National Association for the Advancement of Colored People (NAACP). In 1981 Ellison graduated from the University of Detroit Jesuit High School and Academy. He graduated from Wayne State University in Detroit with a B.A. in Economics in 1987. While attending Wayne State University, Ellison converted from Catholicism to Islam. He then went on to attended the University of Minnesota Law School, graduating in 1990. Ellison began his professional career at the Minneapolis law firm of Lindquist and Vennum. He worked there for three years as a litigator specializing in criminal defense, civil rights, and employment. After leaving Lindquist and Vennum Ellison he became executive director of the nonprofit Legal Rights Center in Minneapolis. He then returned to private practice by joining Hassan & Reed where he specialized in trial practice. 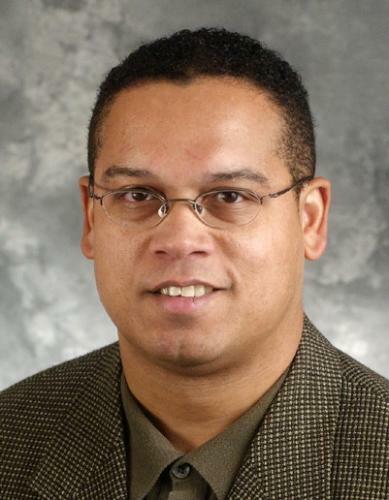 In 2002 Keith Ellison was elected to the Minnesota House of Representatives, representing District 58B. He was succeeded by Augustine Dominguez. Four years later, in 2006 Ellison ran for Minnesota’s Fifth District Congressional Seat as a Democrat which he continued to hold until 2019. With his 2006 victory, Ellison became the first Muslim to be elected to the United States Congress. His house seat was previously held by Martin Olav Sabo. Ellison was appointed to the Financial Services Committee and the Judiciary Committee. While in Congress Ellison has been a strong opponent of the Iraq War and has supported efforts to impeach President George Bush for his handling of the conflict. Ellison is a proponent of immigration reform and an advocate of privacy concerns for those who use the Internet. As Congress’s only Muslim representative he quickly became one of the principal advocates for civil rights protections for Muslim women and men across the nation in the aftermath of the 911 attacks. On June 5, 2018, Ellison announced that he would not seek reelection to a seventh term in Congress but would instead run for Minnesota Attorney General. In August of 2018, he won the Democratic Primary with 49% of the vote and went on to win in the general election with 54% of the vote on November 6 against Republican opponent, Debra Histrom. With his election, Minnesota would have the first Democratic Attorney General in more than 40 years. Ellison and his former wife Kim, had four children together. Their divorce was finalized in 2012. Ellison’s Memoir, My Country ‘Tis of Thee was published in 2014. Just days before the 2018 election, Ellison was accused of verbal and physical abuse by former girlfriend, Karen Monahan. As of this writing these allegations have yet to be proved or addressed in any legal system.